Yesterday, I received a lovely little packet from the postman, and in it was a beautiful bracelet made by a very special and thoughtful girl: Amy-Louise. I haven't known her for long at all, so for her to take the time to make such a personal bracelet for me, really cheered me up and left me feeling more positive about recovery. She added a little fish, to remind me that I can recover, and personalised it with my name. I'm 18 years old - and I actually quite like being this age! Double at the moment :-) Although, when I get to uni (hopefully) I'm sure it'll be a single. Putting the washing out on the line.. takes forever! I personally don't own any, nor do I know much about them. But basically, I like anything small.. ha! Two coffee's! I am a caffeine addict, fact. I play the saxophone and clarinet.. or at least I used too! I don't actually have one! Although, my Step-dad calls me piglet? People not putting things away or cleaning up after themselves!! I have been feeling a little down recently, so to cheer myself up, I thought I'd indulge in some products that I 'save for best'. The items you never seem to use because 'best' never seems to come around quite enough. Anyway..
Marc Jacobs - Daisy For Women Eau De Toilette (£45 - £56): This isn't actually something I keep for best, I wear it everyday without fail because I absolutely love it. It's probably more of a more mature scent, but that doesn't mean I don't wear it. It's actually quite sentimental to me, as someone I was very close to used to wear it ALL of the time and I'd always comment - and then she gave me a new bottle, and I've not put it down since! Marc Jacobs - Daisy Body Lotion (£23): This is definitely on the expensive side, but again, I adore it. It leaves your skin smelling divine and moisturises you too. It has a bit of glitter in it, which is something I'm not too keen on because I don't want to look like tinkerbell, but after it's had time to sink in (which isn't actually that long), it seems to disappear too. It's definitely something I want to repurchase! Marc Jacobs - Daisy Shower Gel (£21): Same with the lotion, it's expensive (but - I guess Marc Jacobs is!) but does leave you smelling of the recognisable Daisy scent and obviously washes you! With all Marc Jacobs' products, I don't think you get enough for the price; maybe I just use too much in one go? Who knows! But, apart from that I can't fault it really. I have also been addicted to the 'Fifty Shades' trilogy and now on the last book after 5 days! I really recommend these books - they are hot, emotional and I can see why they are so obsessive! Please let me know what you think of these sort of posts? I may make it a monthly post, if they are popular. As I've officially left school, and my Mum had the day off, she really wanted to spend a day with me. Me - having just finished school, wanted to do quite literally nothing but was forced into going out. We came to a mutual agreement of going to the Trafford Centre as neither of us had been before. I have to admit, I wasn't overly impressed with it - it's just a shopping centre. I don't really know what I expected but it didn't seem all that it was cracked up to be. Nevertheless, there were shops, and I guess that's all a girl needs! Neither of us actually bought much, we didn't need anything really and nothing caught our fancy in clothes shops. BUT, because we come from a small town, when we found the Nails Inc section in Debenhams, we both died and went to nail heaven. Have you been to the Trafford Centre? Do you like it? I've officially finished my A Levels! It is the best feeling in the world! Aaaahhh :-) No more revision. No more stress. No more getting up early! Just a summer full of whatever I feel like doing - most probably reading and watching back to back episodes of Jeremy Kyle - but I DON'T CARE! I've just cleared out every single note, book and revision guide - 5 bin liners - GONE! It feels goooooood! I now intend on finishing the 'Mockingjay', as I had to put it on hold. After that, I'll need ideas to reduce boredom! What are you guys up to this summer? Any plans? As much as I love my dad, I hardly ever see him because my parents are divorced. In actual fact, my dad does pretty much nothing for me, doesn't pay for me, rarely speaks to me but due to certain life events, I think the world of him. I love him more than anything. I didn't see my dad today because I've been at work but I did phone him this morning. He thanked me for the card and gift and said he had a bad migraine - and for some reason, unknown to me, tears always stream down my face. He never tells me he loves me, but whenever he's in pain, I feel it too. Even if it's only something that's physically short term. Crying is a huge deal to me and it's something I seldom do. It's like I'm either emotionally blocked and made of stone, or unconsciously believe it's some sort of weakness that I refuse to show because I feel vulnerable. My dad is the only person that can make me cry and I love him so much. I hope you all have a lovely day with your Father's and have spoilt them, even if they don't deserve it. Life really is too short. Well, I officially never have to listen to Benjamin Britten, John Tavener or Vaughan Williams again as my music A-level is completely finished! I am so happy - just hoping I've done enough now. I'm sure I've done fine, I mean I wrote 8 pages and did my best with the listening, but you know when you get that nagging feeling afterwards? I only need a C in music to get into university - I just wish it wasn't so subjective! If the examiner hates your composition, you get an E. If he loves it, you can an A - it's all the luck of the draw. Same with your performance.. what someone likes, someone else might hate! I'm just going to forget about the whole thing now and focus on the last 2 exams. I'm sure I've done fine and this is just me doubting my ability, like I usually do! How did you do in exams? Did you doubt yourself afterwards? Something that has been playing on my mind for a while, is whether or not an anorexia sufferer should hide how skinny he/she is. With summer rapidly approaching, it is only natural for everyone for wear less and therefore we have more skin on show. 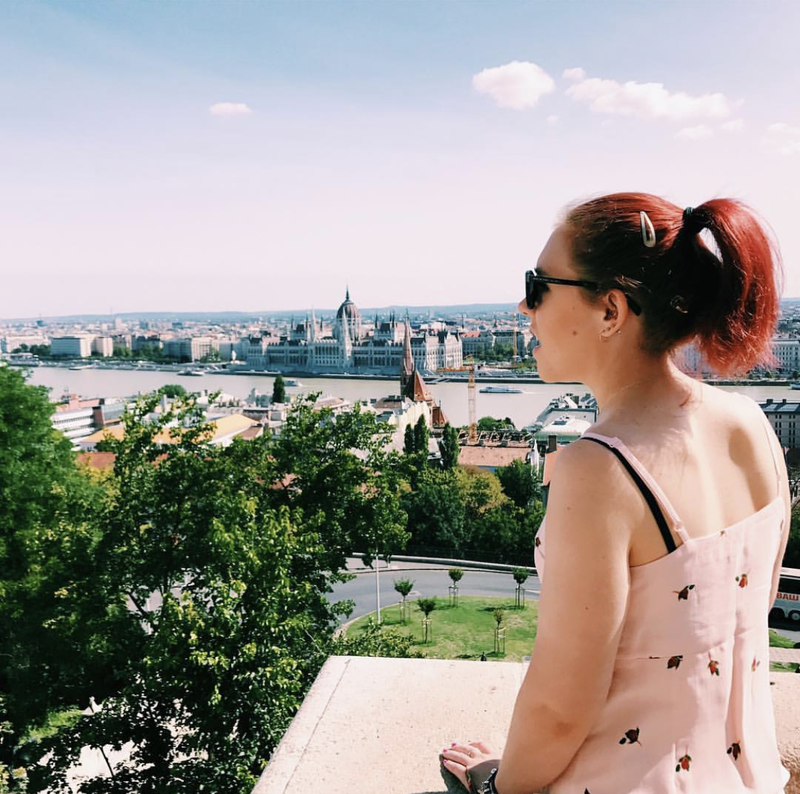 Floral vest tops, printed t-shirts, summery dresses, demin shorts - you name it, everyone embraces the summer trends and wears them in a way that they like. However, and maybe what other people think shouldn't matter, but when you see someone's bones poking out, most of us prejudge, some even comment. This isn't just for really skinny people though. When I was over 15 stone and wore shorts, comments we passed around about whether someone of that size should be wearing something so revealing. And now, I am a victim of this but for the opposing reason. I love summer and I love fashion but if I want to wear what I want and express myself, I have to put up with negative comments and looks? Instead of wearing that lovely summery dress, I find myself hiding away with scarves and cardigans. I don't know why I am people pleasing. Everyone has a right to wear what they want to wear without someone giving their opinion, when it is not wanted. Fat or thin, big or small - everyone is beautiful, right? This is what our society seems promote, yet none of us actually practises what we preach. See the fat girl over there who is called 'fatty'? She's actually got cushing syndrome. The boy who is scarred and told is ugly? He fought on the front line. I could go on. The thing is, none of us has the right to insult someone's appearance. Just because we can, doesn't mean we should. We don't know what people go through, behind closed doors. One tiny comment, could damage their self esteem enormously. I will probably continue to wear accessories to cover up, this summer, but will definitely be making a concious effort to compliment someone who looks even slightly 'abnormal' - whatever that is. You never know, it might be the best thing that's happened to them in a long time. After recently watching a video and noticing Zoe's (Zoella) nail varnish, I just had to purchase it! As I live in a fairly small town, the topshop that we have doesn't sell make up, so I had to buy it on the internet - fortunately, I had a free delivery code! I have to say, I absolutely love even the packaging, it's beyond cute! As for the polish, what isn't there to like? The colour is a lovely, typical sailor blue, and is really bold and bright. It also applies really well too, especially for £5. I was a little cautious of buying this, as I am a bit of a Nails Inc and OPI snob, but I'll definitely be investing in more! Have you tried topshop's nail varnish? Which are your favourite colours? So, I apologise for this being a little late but I have only just found it myself, and it's too good not to share! I'm guessing until midnight (although, I have no clue! 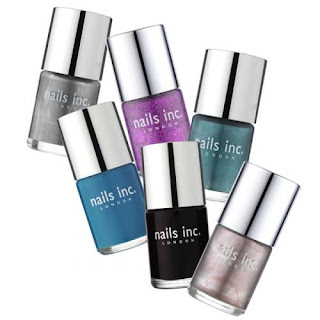 ), Nails Inc are doing a lucky dip! 6 polishes for £15! Now, I absolutely love nail polish, and I'm always buying new colours despite definitely not needing them. However, my Mum (who is also obsessed) and me have gone halves and now await a surprise set of colours. I am officially going nuts! All I have done is revise everyday, for 6 hours - and I still have 2 weeks before the first exam. Someone shoot me! I say this now, but I know it'll sooooo be worth it when I get the results I need for university - which can't come sooner. I want to go NOW. However, today I've hit a brick wall and am procrastinating like crazy. This usually means my bank balance takes a good beating - and yes, I've managed to succeed. Oh well, nice new jumper and nail polish coming to me very soon! Oh - and good luck to everyone who is sitting their A-levels and GCSE's at the moment! It'll be worth it in the end..